Accurate Box Company established a culture of high graphics offset printing since the business started in 1944. Today, we have a complete in house graphics department, computer-to-plate technology, and a brand new climate controlled pressroom. Accurate Box houses three 7 color printing presses. The state-of-the-art 7 color printing presses are used to combine process inks and provide PMS match colors to create any graphic combination. The capability to run multiple SKU’s simultaneously allow Accurate Box’s customers to benefit from larger run quantities. Accurate Box Company recently purchased a new printing press with LED UV coating capabilities. This adds the most advanced technology the market has to offer to our pressroom. We will now be able to produce special effects options on our boxes which will provide greater product visibility for our customers. The state-of-the-art, in-line color control features on the new press will enable Accurate Box to achieve shorter make-ready times with less waste and ensure consistent color throughout all print runs. Also with this press, we are G7 Master Facility Colorspace Certified through Idealliance. Read more about this certification on Idealliance’s website. We print 175 line screen and take great pride in making your packaging POP off the shelf. Accurate Box Company uses eco-friendly inks and a wide variety of coatings from UV to specialty non-skid applications for higher coefficient of friction (COF). Interested in specific PMS colors or scratch-n-sniff inks? Click here to find out how Accurate Box Company can collaborate with your product management and graphics teams to enhance your package and increase sales. 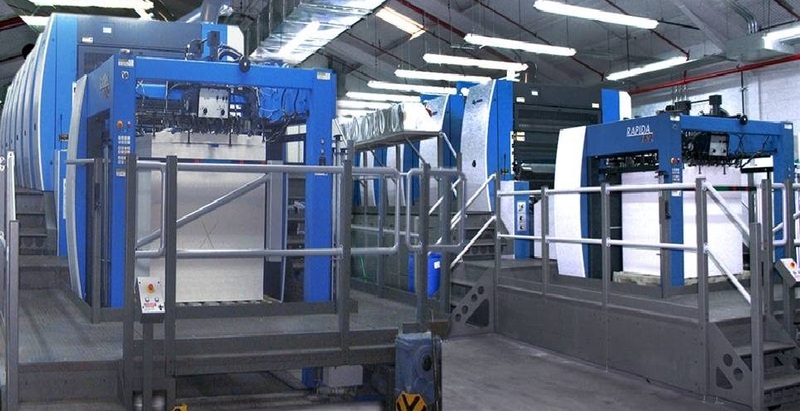 To find out more information about our pre-press capabilities click here.